What good are cocktail yummies without cocktails? 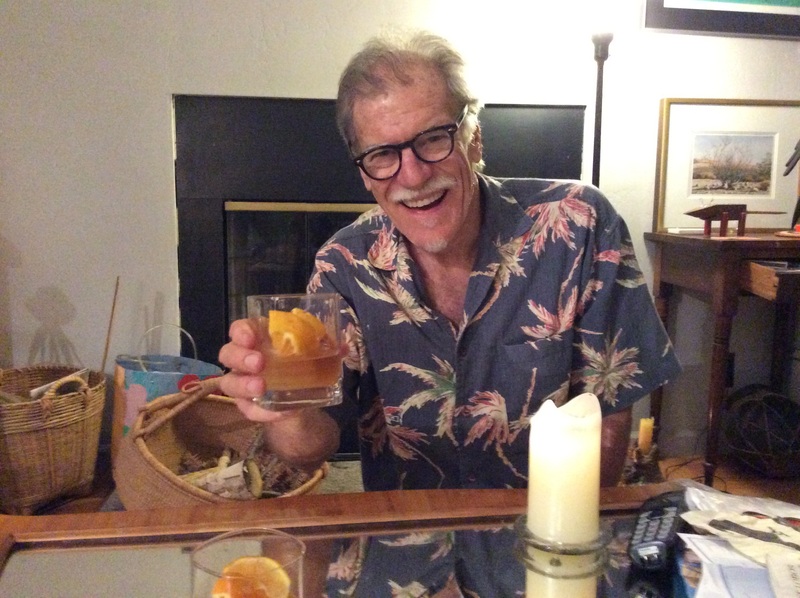 As promised, here’s the next low carb recipe, a Rick original rum cocktail; “Three Ships in the Harbor”–(unofficially “Three Sheets to the Wind”). If you’re in a tropical mood this one is for you! Dear readers, please submit your own low carb cocktail recipes (hopefully in the next week), of classics, such as the Cosmopolitan, or Manhattan, or your original creations. Add your recipes to the “comments” at the bottom of this blog post. Depending when I get your recipes, I’ll publish as many as possible in subsequent posts. I’m excited to receive your cocktails! We’ll have a tasting–will let you know the results. 1 oz. each of 3 rums– a light or white (which doesn’t mean less potent, but light in color), a medium (we like El Dorado or Zaya), and a dark (we suggest Pyrat). 2. in a shaker, shake all ingredients except for the “float” liqueur and garnish. 4. Float your choice of liqueur, or float 1/2 tsp. of dark rum instead. Garnish with lime slices. Of course, check with your doctor if you’re concerned that drinking cocktails, even low carb, aren’t good for your condition. Summer is a great time to enjoy a cocktail with friends out on the patio (or wherever you have some area to celebrate good weather). Since many cocktails are full of sugar or some type of sweetener they’ve often been off limits for carb-conscious folks, especially those with diabetes. 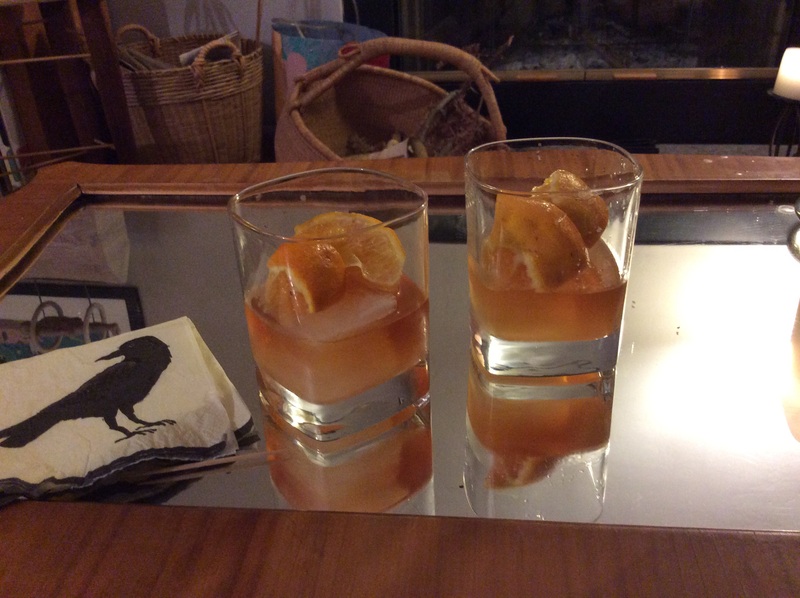 I’m sharing low carb versions of favorite cocktails, including a version of the classic Old Fashioned that we call the New Old Fashioned, and an original rum cocktail, “Three Ships in the Harbor,” (unofficially “Three Sheets to the Wind”). 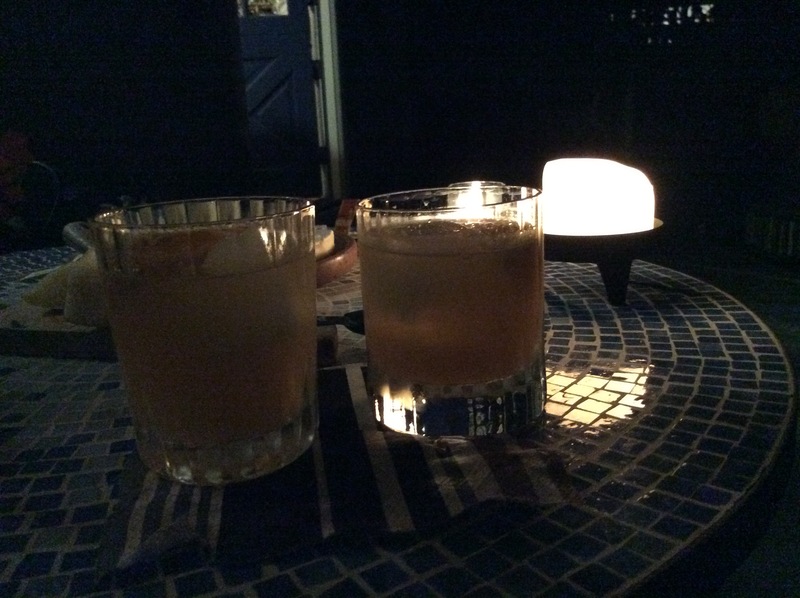 In this post I feature the New Old Fashioned; the rum cocktail will follow. Note: please check with your physician or dietician to make sure that alcohol is allowed in your diet plan. 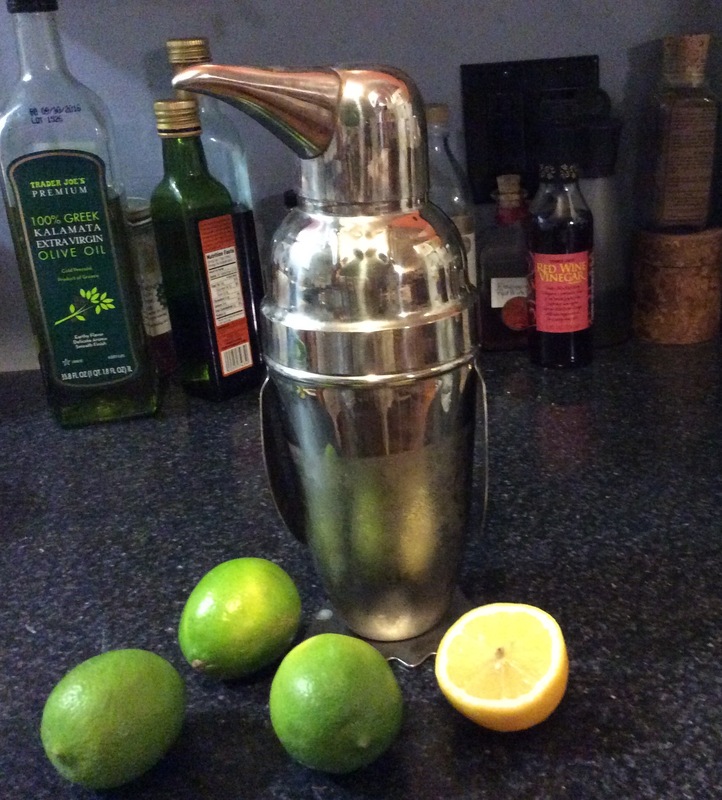 Now I’m asking you, dear, readers, to submit your own low carb cocktail recipes (hopefully in the next week), of classics, such as the Cosmopolitan, or Manhattan, or your original creations. Bitters- 2-4 dashes or more, depending on your taste; we try different kinds- Angostura is a standard but we also found a brand, (actually at Crate and Barrel), called “Hella Bitters” with citrus and others; plus got some cardomon plum bitters in LA – place was a bitters’ supermarket! 2 Large orange wedges–we use at least 1/4 orange per drink. This also helps to add fiber to the drink as we eat the orange too. 4. Add the bitters to taste- try different kinds; Rick is the bitters king and uses at least 4 dashes; I like less. I’ve been asked to repost this snack recipe– and am doing so before I share the Lentil Veggie Soup recipe. It’s a good alternative instead of potato chips and dip for your favorite sports or movie night get together and/or for a dinner party to go with the low carb cocktails on the Happy Hour section. This time I’ll share something a little different; not exactly a cooking recipe but suggestions when you’re planning a good time with friends and want ideas for easy to put together, delicious low carb snacks and h’ors d’oeuvres. We enjoy entertaining and especially sharing a variety of what Rick calls “horse ovaries” to delight our guests. We include fresh hummus and a selection of veggie spears as well as goat and cow milk cheeses. This time we had goat Brie, a white goat Gouda and a cow milk aged Dutch Gouda served with fresh figs and whole grain crackers. Also a variety of olives, pickled peppers and mushrooms and cannoli beans. Plus, one of my favs, smoked oysters. 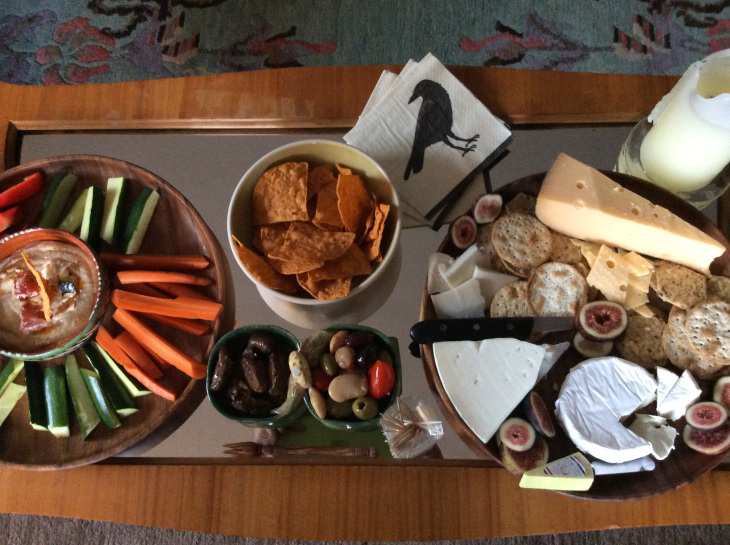 It was fun to put together and a great spread! The chips are sweet potato tortilla chips from Trader Joe’s- 17 grams of carbs in 9 chips; so that’s ok for Rick for one serving; (he’d then skip carbs if we eat dinner after this). Each person’s carb allotment, of course, depends on the individual medical situation. Ask your doctor about it if you’re concerned. Assorted olives, pickled mushrooms, peppers, Cannoli beans; we buy these at a local market or use any olives and pickled foods you prefer (or not). Caution: they can be high in sodium if high blood pressure is an issue. Rick eats these but in small quantities. That’s it! So simple and delicious- a feast for the eyes and…!